Secondary Armament 1 x .30 Cal M1919 Machine Gun (Coaxial). 1 x .30 Cal M1919 Machine Gun (Bow). Notes The Churchill NA75 was a standard Mk. IV with the 6 pdr replaced by a US 75mm gun. These 75s were taken from M4 Sherman’s that had been knocked out in North Africa. 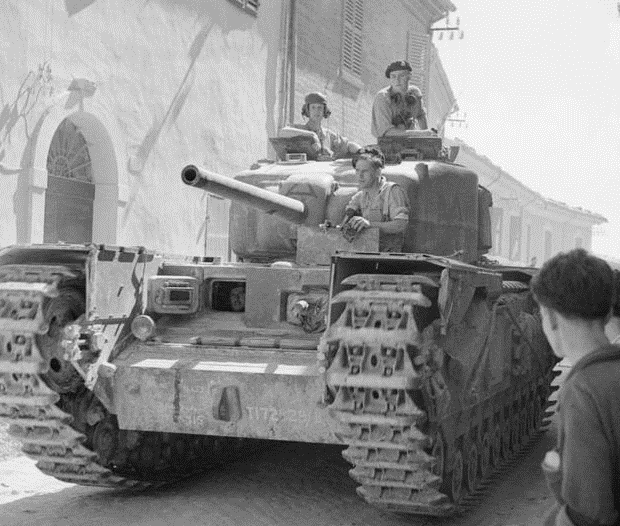 The conversion work was carried out in REME workshops in Algeria and they first saw action in Italy with the North Irish Horse in 1944.